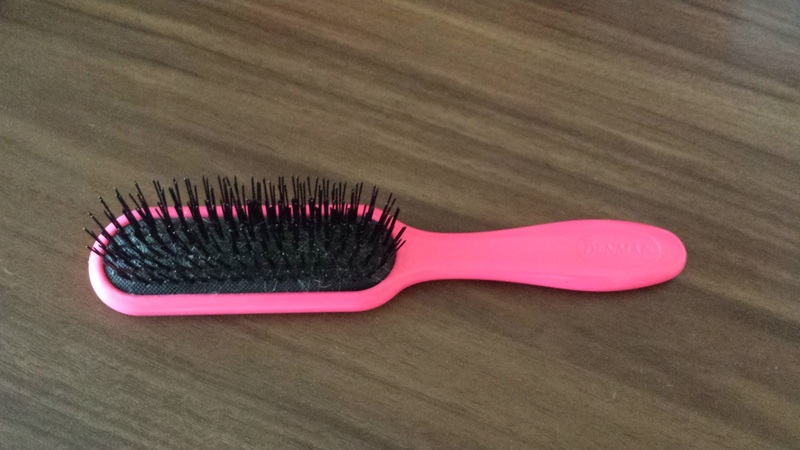 Denman D90 Tangle Tamer Review | I can finally tame my Lion's Mane!! I have quite fine, flyaway hair, but lots of it - and I think this combination is the reason for my knotty battles. 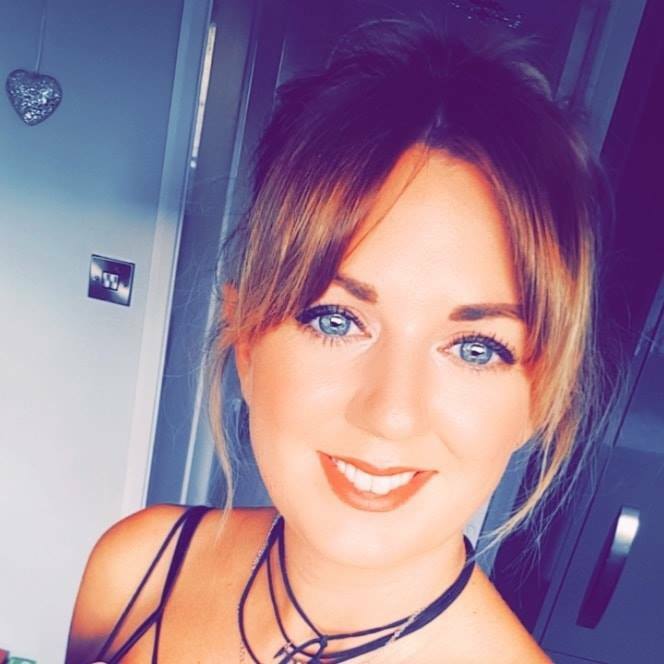 Up until a week ago, no matter how much conditioner I slathered onto the ends of my hair, I would still have a 20 minute struggle with knots, not to mention a big ball of hair left in my hairbrush at the end of it. This was until I finally found the solution... 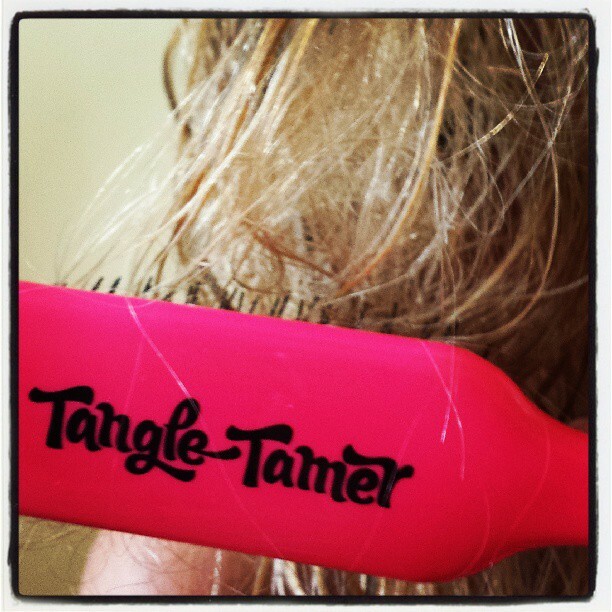 The Tangle Tamer!! One word.. WOW!! I honestly LOVE this product and can't believe I didn't think to try it sooner. 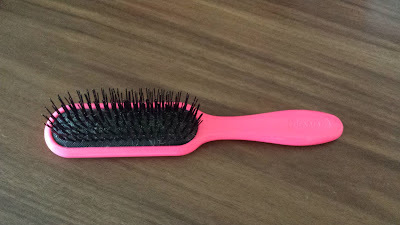 The Tangle Tamer (D90), by Denman comes in a lovely hot pink (some stores also stock it in black) and is small enough to be considered travel size. The description on the Denman website aims it at children, but I honestly don't see a problem using it as a fully grown adult. 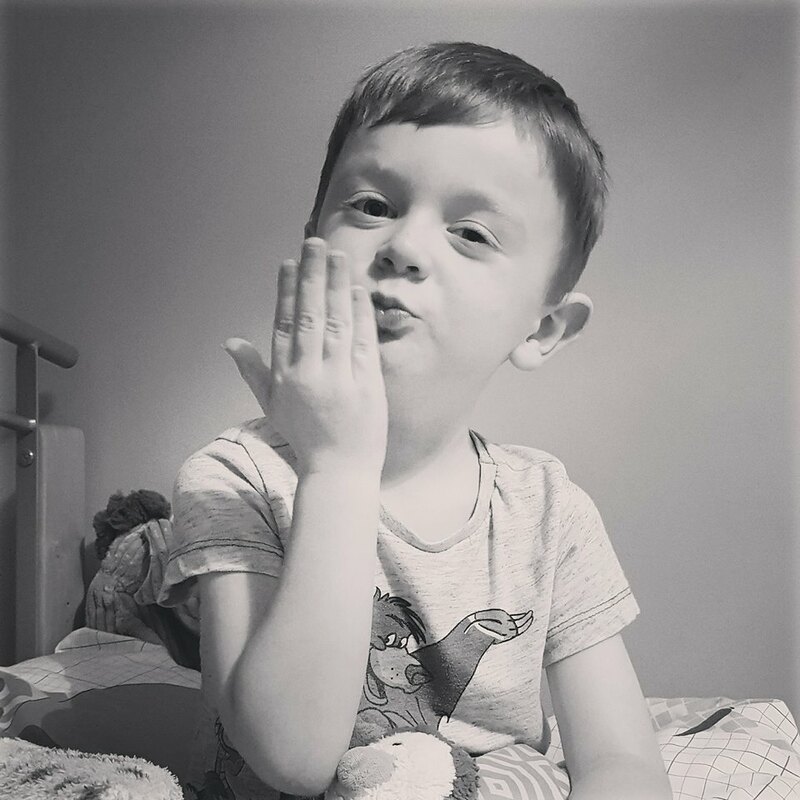 This"little girl's favourite accessory" has now become this big girl's!! Denman D90 Tangle Tamer. Between £5 and £6. The super fine bristles come in clusters of different lengths, which gently tease the knots and glide through wet hair with ease. I was honestly shocked at how quick and easy it was. While browsing for this product in Boots, I noticed there was another brand of tangle taming beast called The Tangle Teezer. However, the fact that it was double the price of the Denman, at £10.99, I decided to try the cheapest option first. (How glad am I? Surely it can't get any better?) I also wasn't keen on the fact that this rival brush was shaped like some sort of kidney and had no handle. All in all, I think every Man/Woman/Girl/ with troublesome locks should try this little beauty and live happily ever after with knot free hair.